Laminating, Encapsulating & Mounting : Top Worth Advertising LLC. Dubai, U.A.E. Many of our ‘digital print’ clients also make use of our in-house laminating, encapsulating and mounting service. An extensive range of laminates is available for all printed media. Thick and thin laminate film in high gloss, satin & matt finishes are available. Our maximum width in both our cold and hot machines is 1500mm. 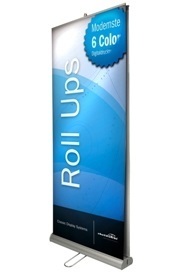 A range of mounting stock in various thicknesses will suit your display needs. Floor Graphics? – yes we even provide these for clients who want to advertise and promote products and services. 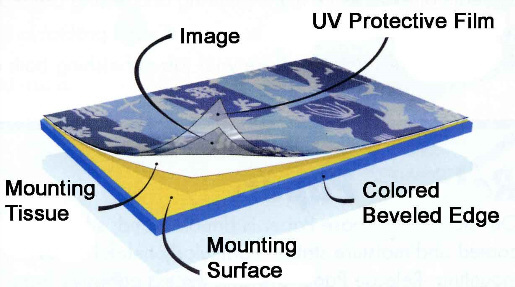 Our special scuff / slip resistant clear textured laminate are ideal for floor graphics.